Roughly five years after the unveiling of Google Glass, it looks like hardware brands are getting close to bringing a consumer-friendly pair of smart glasses with an augmented reality display to the market. Rochester, New York-based Vuzix unveiled its Blade glasses at this year’s CES, and hopes to launch the consumer version for $1,000 in a few months; The Verge’s Nick Statt came away impressed by the device, as you can see in this video. And now, Bloomberg reports than Intel is gearing up to launch its own take on the concept later this year. Google Glass wasn’t entirely killed off: after the consumer version was shelved in 2015, it was reworked for enterprise customers and released to partners last year, who customized the product for aviation mechanics, doctors, and cargo logistics workers. Glass wasn’t right for you and me in 2013, and a lot has changed since then: voice-activated assistants are now fairly competent at recognizing commands and carrying out tasks or surfacing contextually relevant information, and display technology has improved so it’s not quite as awkward as before to view a screen’s worth of content in front of your eyes. However, certain aspects of how we use tech, and what we expect out of our gadgets, have remained the same. Take a look at this video below promoting Vuzix’ Blade glasses, which depicts a user carrying on a conversation with a friend while checking notifications from her social networks and smart home devices. While this sort of wearable technology seems like a natural progression from phones that we’ve to hold in our hands, I’m not sold on the idea of being more discreet as I interact with my digital life and gadgets while in the company of others. I’ve had a chance to try a now-primitive-by-comparison heads-up display, as well as various smartwatches that promise to help you stay engaged with whatever you’re doing by negating the need to pull out your phone and look at it. But in my experience, I found myself being even more distracted with these tools than when I simply carried my phone – it’s immensely easier to ignore a handset than something that’s right in front of your eyes. And by the same token, I tend to avoid talking to people while they’re using their personal devices, and instead wait for them to return their attention to me before continuing our conversation. As such, I simply don’t see myself ditching my prescription glasses for a pair of Alexa-powered ones just yet. That being said, there are probably several scenarios in everyday life where it’d be handy to be able to interact with digital services hands-free, like controlling your streaming music playlist while on a run, or keeping an eye on your route while driving. If you’re the sort who’d enjoy leaving your phone at home and just using a SIM-equipped Apple Watch 3 when you’re out running errands, for example, these glasses may certainly appeal to you. There’s also the possibility of using smart glasses to immerse yourself in augmented reality content, like playing games, or even looking at multiple spreadsheets side-by-side. As far as I can tell, Vuzix’ offering isn’t quite there yet, but it seems like it’s only a matter of time before that happens. And this is the sort of situation where smart eyewear makes sense to me, as it can augment activities where you’re already focusing exclusively on digital content, and not trying to pretend like you’re listening to a friend talk to you. Now, about that front-facing camera on the Blade (and, I assume, on every other competing device): I don’t see how it’s any less creepy or intrusive than the one on Snapchat’s Spectacles or on the original Google Glass, which spooked many a spectator. It’s almost always true that the best camera is the one you have on you, but not when it raises suspicion about you snooping on people or attempting to inconspicuously capture them on video. That’s not really the fault of the product: our comfort with cameras of different form factors, in various public and private spaces, as well as our willingness to consent to being caught on tape, are constantly changing. If head-mounted cameras are to become commonplace, we’ll need to have discussions about more than just megapixels before we’re okay with seeing them wherever we go. Oh, and at $1,000 for the upcoming Blade consumer version, you’re looking at an accessory that costs more than your top-of-the-line phone; unless you wear them all day, it might be hard to justify paying that kind of money for the utility you get from the glasses. At around $300, or roughly the cost of an Apple Watch or a good pair of wireless headphones, it might be easier to live with. I simply might not be the target audience for these glasses at this point in time, and I expect that my stance on the matter might change eventually. 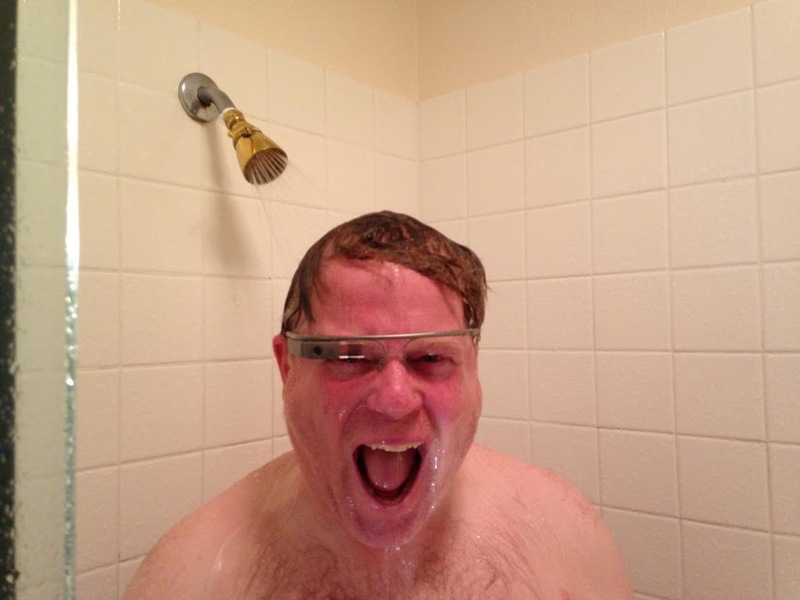 But for now, smart glasses don’t yet seem desirable or necessary in my life. How about you?